ACCA, Habitat for Humanity, Rebuilding Together, Crop Walk, Leewood Healthcare Center, The Shepherd's Center. For more information, or to find out how you can help out, please contact Linda Hernandez-Giblin at linda_y_erik [AT] yahoo [DOT] com. Also, ACCA has an excellent monthly e-newsletter on service events and opportunities in our neck of the woods. To view the newsletter or sign up to receive it via email, click here. Ravensworth has a long history (over two decades!) of involvement with Habitat for Humanity. Mission teams have traveled to North Carolina, New Jersey, Pennsylvania, Maryland, and right here in Virginia to build and renovate homes for those who need it most. We are a covenant member of Habitat for Humanity of Northern Virginia. An outreach program of ACCA, Rebuilding Together brings together volunteers from area churches to rehabilitate the homes of needy residents who otherwise would not be able to afford such construction. RBC volunteers participate every April in a Rebuilding Together project in Fairfax County. For more information, or to find out how you can help out, please contact Brad Moffett at brad [AT] moffetthome [DOT] net. 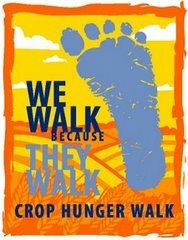 Each October, RBC participates in the CROP Walk , a ten-kilometer walk to raise awareness about and funds to combat hunger in the United States and abroad. Of the money raised at the Walks, which are sponsored by Church World Service, 25% comes back to the local community. ACCA, a ministry near and dear to us at Ravensworth, is a major recipient of this money in the Annandale area. For more information, or to find out how you can help out, please contact Bob Sampson at bnc2sampson [AT] gmail [DOT] com. For nearly fifty years—since the very beginning of our church’s life—we have maintained a ministry to the residents of Leewood Healthcare Center, about 1½ miles from the church on Braddock Road. Two Sundays out of every month, church members, including a number of our youth, hold a short worship service for the residents, including familiar hymns, prayers, and occasionally a brief sermon. Most importantly, they spend time with the residents and let them know they are loved and cared for. If you would like to volunteer or find out more information, please contact Cathy Baskin (cathy@ravensworthbaptist.org). Ravensworth members were instrumental in starting the Shepherd's Center of Annandale-Springfield. The Shepherd's Center is an interfaith organization whose mission is to assist older persons in living independently and to offer programs which supply opportunities for enrichment, learning and socialization. If you would like to find out more about volunteer opportunities with The Shepherd's Center, please contact either Clarence Hoop (hoopc [AT] verizon [DOT] net) or Lucyann Billups (fandl1 [AT] aol [DOT] com).